Disclosure: We value transparency at Today’s RDH. 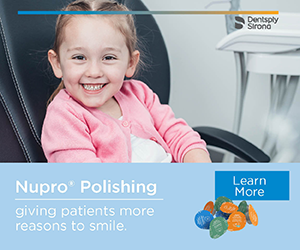 This article is sponsored content from Dentsply Sirona Preventive as part of our sponsored partner program. The question can be raised then, is it merely a cosmetic procedure? 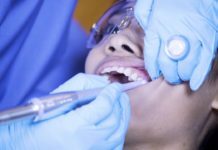 Regardless of the answer, we as clinicians know that the polishing portion of the dental hygiene visit is what many patients feel is the “cleaning” and they expect this process as a part of the procedure. 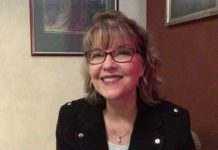 Incorporating individual patient needs and expectations into our treatment choices is an integral part of practicing evidence-based dentistry. Choosing the right equipment, applying the proper technique, utilizing the appropriate products and ensuring patient comfort can lead to better clinical outcomes and higher patient satisfaction. 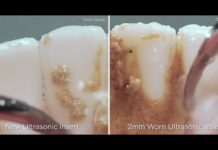 Today’s coronal polishing agents are used for a much wider range of treatment modalities, including biofilm disruption before ultrasonic scaling, application of desensitizing pastes, and preparing teeth for sealants to list a few. There are a variety of products that provide therapeutic benefits such as treatment of hypersensitivity. 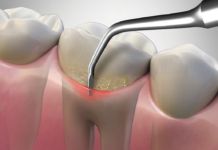 The instrumentation performed during adult prophylaxis, periodontal maintenance, and periodontal debridement (SRP) procedures can be painful at pre-existing hypersensitive sites and may result in new areas of transient hypersensitivity. 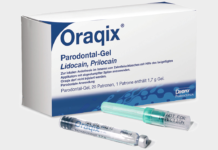 To manage hypersensitivity stimulated during and following periodontal instrumentation, a strategy for continuous care can include the usage of products such as Nupro® extra care prophylaxis paste with NovaMin®. Nupro extra care prophylaxis pastes with NovaMin are clinically proven to provide immediate sensitivity relief that lasts up to 28 days, providing increased patient comfort with just one application2. The paste is free of gluten, dye, and sodium lauryl sulfate. The prophy paste, available in polishing and stain removal grits, is applied immediately before initiating instrumentation. A one-minute onset time provides immediate tubule occlusion. 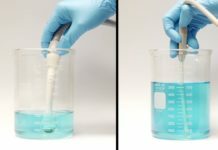 A second application of the Nupro extra care prophy paste after instrumentation is completed is the final polish providing tubule occlusion following instrumentation. 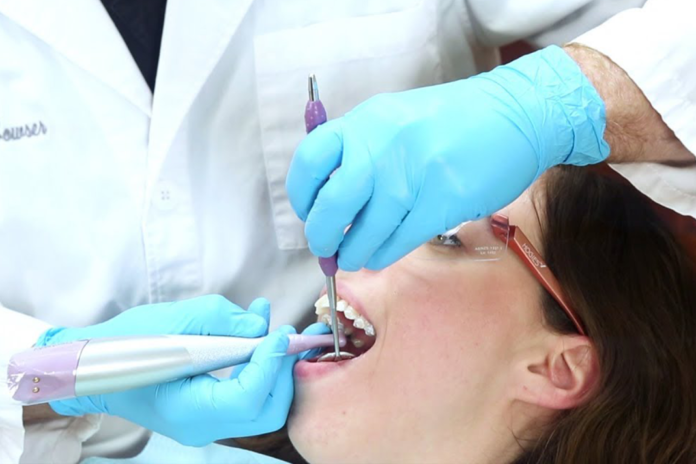 More hygienists are providing services in settings outside of the traditional dental office, i.e., long-term care facilities, schools, mobile units, remote mission facilities, homebound patient residences, and locations without conventional air and water hookups. The innovation of cordless handpieces has been an asset in these environments. Nupro Freedom® Cordless Prophy System with SmartMode® Technology provides clinicians with an innovative method of controlling the speed and the power of the prophy cup. The handpiece is intuitive, allowing the clinician to fully control the handpiece function solely in their hand without pushing buttons or reaching for foot pedals. The speed of the rubber cup intuitively increases with the amount of contact pressure applied against a tooth surface; the rpm speed will subsequently decrease as less pressure is applied. The elimination of a foot pedal during the polishing procedure allows the clinician to move more fluidly and concentrate solely on the polishing process. The benefits are clear, and the technology is here. The Nupro Freedom® Cordless Prophy System with SmartMode® Technology provides a cost-effective solution to comply with the CDC Infection Prevention Guidelines. In 2008, the Centers for Disease Control (CDC), in its Guideline for Disinfection and Sterilization in Healthcare Facilities, reminded clinicians that “Handpieces can be contaminated internally with patient material and should be heat sterilized after each patient. Handpieces that cannot be heat sterilized should not be used.” No handpiece should be used on more than one patient without being autoclaved between patients. Barrier protection and wiping down with a disinfectant alone does not ensure prevention of cross-contamination. Complying with the CDC guidelines regarding dental handpieces is a significant aspect of infection prevention in the office, and this system allows you to do that at a fraction of the cost of buying separate handpieces. Choosing the dental hygiene handpiece that feels right in your hand should be complemented by a well-designed disposable prophy angle. A high quality disposable prophy angle has splatter-reducing cup styles and webbing features that allow for greater interproximal contact. The Nupro Freedom® Slim angles feature a 14% more slender neck, a 16% shorter head along with a contra-angle design option. These features combined provide the clinician improved visibility and maneuverability. Today’s coronal polishing procedures and products address additional treatment considerations which can provide patients with relief from hypersensitivity during scaling procedures. When assessing patients for individual treatment needs, creating opportunities to provide comfort along with therapeutic value is a win-win. As clinicians, it is important to understand that we are only as good as what is in our hands. Choose a dental hygiene handpiece that offers a lightweight, balanced design and increased maneuverability. By reducing the wrist fatigue associated with cords and utilizing SmartMode Technology, you will experience the freedom of movement and portability as well. Selective polishing has a new meaning. Choose what’s best for your patients’ safety, comfort, and optimal clinical outcomes. Experience a whole new way to polish; your body and your patients will thank you. Jeong, Claire, Coronal polishing: Indications and contraindications for dental assistants Dentistry IQ November 24, 2017. Burwell A, Jennings D, Muscle D, et al. NovaMin and dentin hypersensitivity—in vitro evidence of ef_ cacy. J Clin Dent. 2010;21(3):66-71. Akesson I, Johnsson B, Rylander L, Moritz U, Skerfving S. Musculoskeletal disorders among female dental personnel – clinical examination and a 5-year follow-up study of symptoms. Int Arch Occup Environ Health. 1999;72(6):395-403. Christensen and Bangerter. Determination of rpm time and load used in oral prophylaxis polishing in vivo. J Dent Res 1984 Dec; 63(12): 1376-82. 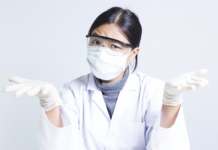 Previous articleA Tale of Two Hygienists: Bonus Episode! Want to Go on a Mission Trip?